Let us first consider the question from the point of view of scientific knowledge. It might appear that there are no essential methodological differences between astronomy and economics: scientists in both fields attempt to discover laws of general acceptability for a circumscribed group of phenomena in order to make the interconnection of these phenomena as clearly understandable as possible. But in reality such methodological differences do exist. The discovery of general laws in the field of economics is made difficult by the circumstance that observed economic phenomena are often affected by many factors which are very hard to evaluate separately. In addition, the experience which has accumulated since the beginning of the so-called civilized period of human history has—as is well known—been largely influenced and limited by causes which are by no means exclusively economic in nature. For example, most of the major states of history owed their existence to conquest. The conquering peoples established themselves, legally and economically, as the privileged class of the conquered country. They seized for themselves a monopoly of the land ownership and appointed a priesthood from among their own ranks. The priests, in control of education, made the class division of society into a permanent institution and created a system of values by which the people were thenceforth, to a large extent unconsciously, guided in their social behavior. But historic tradition is, so to speak, of yesterday; nowhere have we really overcome what Thorstein Veblen called “the predatory phase” of human development. The observable economic facts belong to that phase and even such laws as we can derive from them are not applicable to other phases. Since the real purpose of socialism is precisely to overcome and advance beyond the predatory phase of human development, economic science in its present state can throw little light on the socialist society of the future. 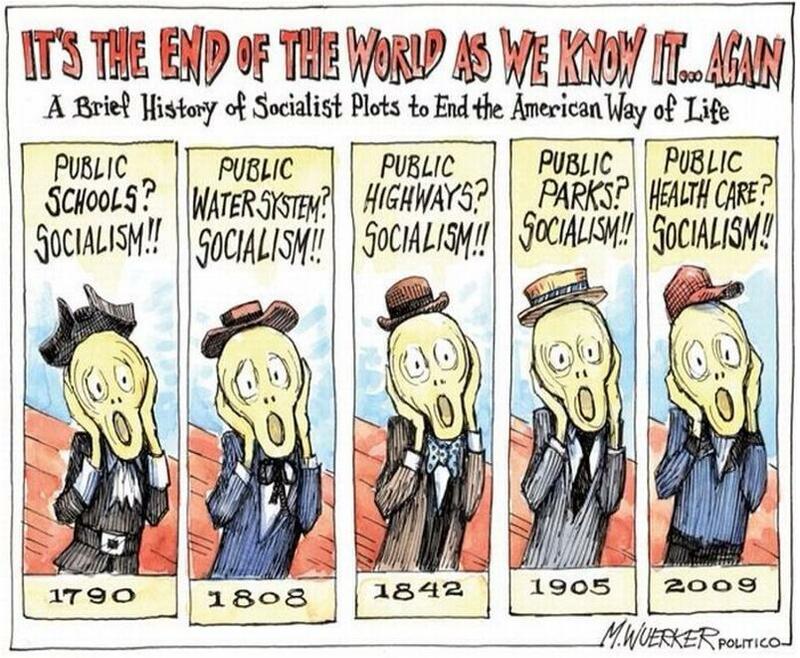 Second, socialism is directed towards a social-ethical end. Science, however, cannot create ends and, even less, instill them in human beings; science, at most, can supply the means by which to attain certain ends. But the ends themselves are conceived by personalities with lofty ethical ideals and—if these ends are not stillborn, but vital and vigorous—are adopted and carried forward by those many human beings who, half unconsciously, determine the slow evolution of society. For these reasons, we should be on our guard not to overestimate science and scientific methods when it is a question of human problems; and we should not assume that experts are the only ones who have a right to express themselves on questions affecting the organization of society. I am sure that as little as a century ago no one would have so lightly made a statement of this kind. It is the statement of a man who has striven in vain to attain an equilibrium within himself and has more or less lost hope of succeeding. It is the expression of a painful solitude and isolation from which so many people are suffering in these days. What is the cause? Is there a way out? It is evident, therefore, that the dependence of the individual upon society is a fact of nature which cannot be abolished—just as in the case of ants and bees. However, while the whole life process of ants and bees is fixed down to the smallest detail by rigid, hereditary instincts, the social pattern and interrelationships of human beings are very variable and susceptible to change. Memory, the capacity to make new combinations, the gift of oral communication have made possible developments among human beings which are not dictated by biological necessities. Such developments manifest themselves in traditions, institutions, and organizations; in literature; in scientific and engineering accomplishments; in works of art. This explains how it happens that, in a certain sense, man can influence his life through his own conduct, and that in this process conscious thinking and wanting can play a part. Man acquires at birth, through heredity, a biological constitution which we must consider fixed and unalterable, including the natural urges which are characteristic of the human species. In addition, during his lifetime, he acquires a cultural constitution which he adopts from society through communication and through many other types of influences. It is this cultural constitution which, with the passage of time, is subject to change and which determines to a very large extent the relationship between the individual and society. Modern anthropology has taught us, through comparative investigation of so-called primitive cultures, that the social behavior of human beings may differ greatly, depending upon prevailing cultural patterns and the types of organization which predominate in society. It is on this that those who are striving to improve the lot of man may ground their hopes: human beings are not condemned, because of their biological constitution, to annihilate each other or to be at the mercy of a cruel, self-inflicted fate. If we ask ourselves how the structure of society and the cultural attitude of man should be changed in order to make human life as satisfying as possible, we should constantly be conscious of the fact that there are certain conditions which we are unable to modify. As mentioned before, the biological nature of man is, for all practical purposes, not subject to change. Furthermore, technological and demographic developments of the last few centuries have created conditions which are here to stay. In relatively densely settled populations with the goods which are indispensable to their continued existence, an extreme division of labor and a highly-centralized productive apparatus are absolutely necessary. The time—which, looking back, seems so idyllic—is gone forever when individuals or relatively small groups could be completely self-sufficient. It is only a slight exaggeration to say that mankind constitutes even now a planetary community of production and consumption. For the sake of simplicity, in the discussion that follows I shall call “workers” all those who do not share in the ownership of the means of production—although this does not quite correspond to the customary use of the term. The owner of the means of production is in a position to purchase the labor power of the worker. By using the means of production, the worker produces new goods which become the property of the capitalist. The essential point about this process is the relation between what the worker produces and what he is paid, both measured in terms of real value. Insofar as the labor contract is “free,” what the worker receives is determined not by the real value of the goods he produces, but by his minimum needs and by the capitalists’ requirements for labor power in relation to the number of workers competing for jobs. It is important to understand that even in theory the payment of the worker is not determined by the value of his product. The situation prevailing in an economy based on the private ownership of capital is thus characterized by two main principles: first, means of production (capital) are privately owned and the owners dispose of them as they see fit; second, the labor contract is free. Of course, there is no such thing as a pure capitalist society in this sense. In particular, it should be noted that the workers, through long and bitter political struggles, have succeeded in securing a somewhat improved form of the “free labor contract” for certain categories of workers. But taken as a whole, the present day economy does not differ much from “pure” capitalism. Production is carried on for profit, not for use. There is no provision that all those able and willing to work will always be in a position to find employment; an “army of unemployed” almost always exists. The worker is constantly in fear of losing his job. Since unemployed and poorly paid workers do not provide a profitable market, the production of consumers’ goods is restricted, and great hardship is the consequence. Technological progress frequently results in more unemployment rather than in an easing of the burden of work for all. The profit motive, in conjunction with competition among capitalists, is responsible for an instability in the accumulation and utilization of capital which leads to increasingly severe depressions. Unlimited competition leads to a huge waste of labor, and to that crippling of the social consciousness of individuals which I mentioned before. Nevertheless, it is necessary to remember that a planned economy is not yet socialism. A planned economy as such may be accompanied by the complete enslavement of the individual. The achievement of socialism requires the solution of some extremely difficult socio-political problems: how is it possible, in view of the far-reaching centralization of political and economic power, to prevent bureaucracy from becoming all-powerful and overweening? How can the rights of the individual be protected and therewith a democratic counterweight to the power of bureaucracy be assured?